I think a thread like this may have been posted before. It might be interesting to read about and visulize (Pentax DSLR photos of course) what your other interests are. 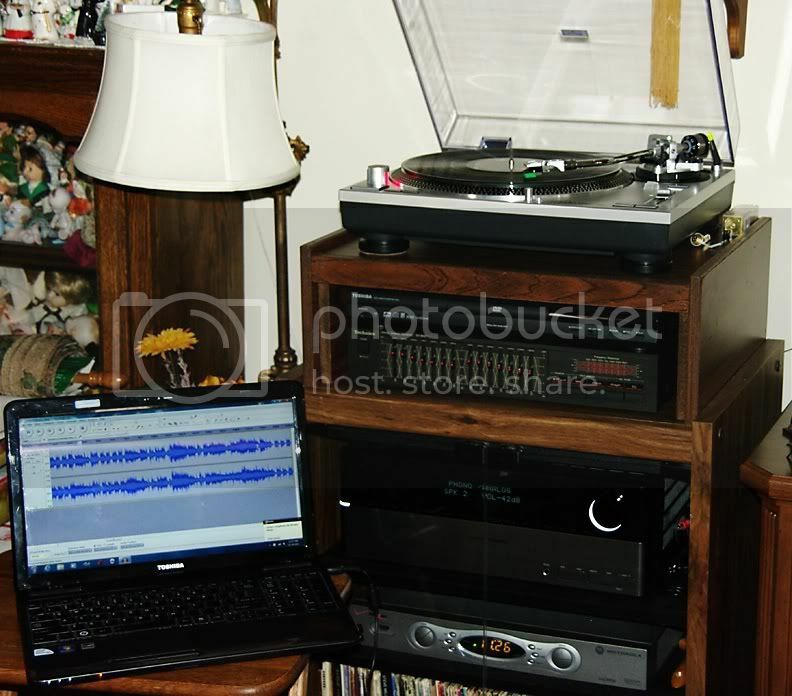 I recently decided to convert my old collection of vinyl LP's to MP3's and picked up a combination of new and thrift store equipment. 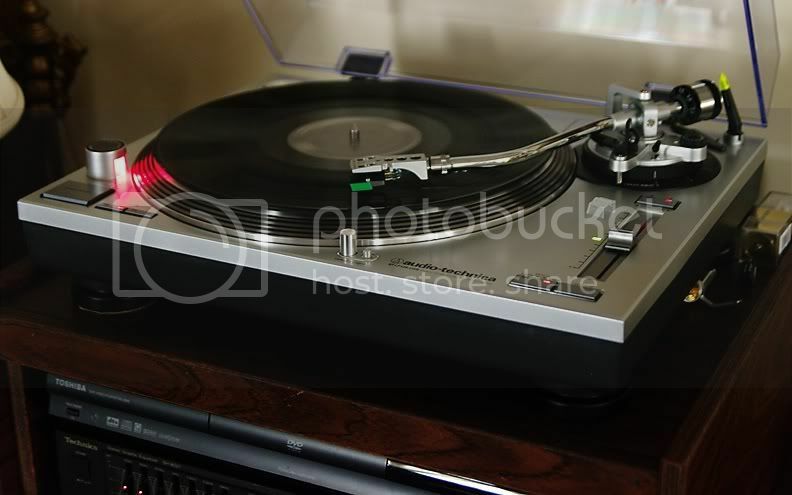 I have often though of doing the same thing, I believe I have all I need to started, An old turntable, an amplifier with turntable inputs and line out and a notebook with line in. does that sound about right to you, What software are you using. You may need an RCA to mini-plug adapter to go from your amp to the laptop. Line in via the laptop microphone jack isn't as good as going line-in direct to a sound card, but it does work. I picked up a USB turntable and got better results going USB to my laptop. I use Audacity - free on their website. If you're running Windows 7 take their Beta version 1.3. The XP version won't work on Win 7. You'll need to download a "plug-in" to export MP3 files. The Audacity instructions tells you how to do it. My other hobbies include reading....history, political science. I am also a long time motorcycle enthusiast, although as I'm older now and don't ride anymore. I did ride a fair amount when I was younger and had a number of motorcycles....all European or Japanese in make. I still have two motorcycles that I'm restoring. One is a '78 Yamaha SR 500cc single cylinder, which I bought new back in 1978. It's a retro copy of '50's/60's British large capacity, single cylinder machines. The other motorcycle is a British '67 Matchless G15 CS Scrambler. It has a 750cc Norton twin cylinder engine (sports cams, twin carbs, low gearing, bash plates, open pipes, etc.) shoehorned into a light weight Matchless frame. It is a motorcycle factory model, designed for desert racing. This type of bike was known as a desert sled. I would like to get one other motorcycle for my collection, which would be '60's Czechoslovakian made CZ 250 twin piper motocross racer. Not a big collection, but I do have the bikes I wanted...except of course for a CZ. Also have an older camera and lens collection. With this collection, I'm working on getting a display in the rec room. Last edited by lesmore49; Nov 24, 2011 at 11:14 PM. Does prison ministry and gardening count? When I worked, before retirement....a lot of my work involved reading and although I enjoyed the subject material it was still work related . As I got older (50's) I found that by the time I got home...I was too tired to do much reading for pleasure. As a result I ended up with a pile of history / PS books, accumulated as Xmas and birthday gifts on the book shelf that remained unread. I have made up for lost time since retirement...not just whittling away at my own book collection, but also becoming a regular at the local library. I just hope my eyes hold out. I think I would have to say that I struggle to have time for one hobby, photography.....much less a second....I know the feeling. I retired in June 2008 and although I had bought my K10D in Nov., 2007 I also 'struggled' to use it much until after June....pressure of work, etc. I believe you'll find that after you reach retirement you will continue to enjoy your readings political and history. With additional time at your disposal and considering your profession...you may want to supplement your readings with exploring some of the areas where history took place. In the past few years I've been doing some traveling in parts of the Canadian and American mid west and west, exploring regional history...Custer, early Mounted Police (Mounties), First Nations, etc. Makes the history book come alive. Thanks Jim, as far as your orig. 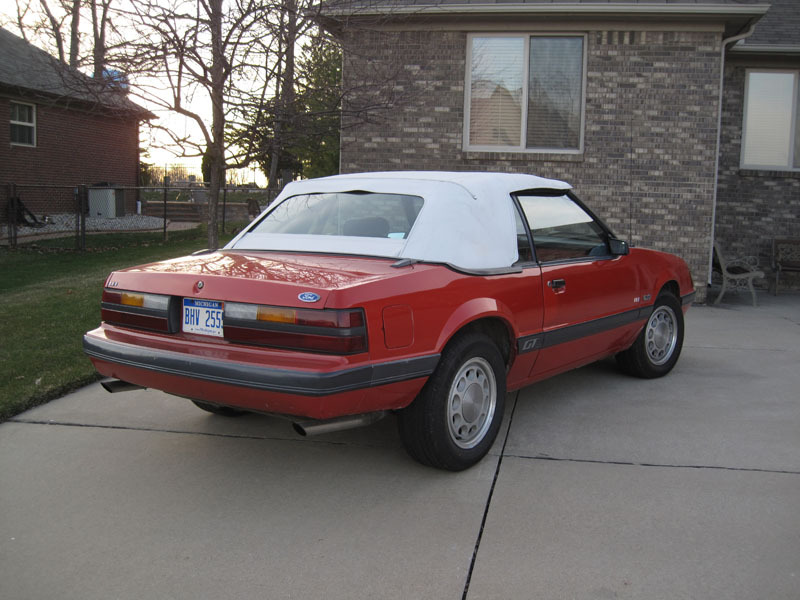 question I have a 1985 Mustang GT Conv. that I got for next to nothing in the garage I need to complete working on. I have replaced the top and interior. It's derivable, doesn't look to bad but I need to start working under the hood and raise the meager 185 HP to something more respectable plus it needs some suspension work. 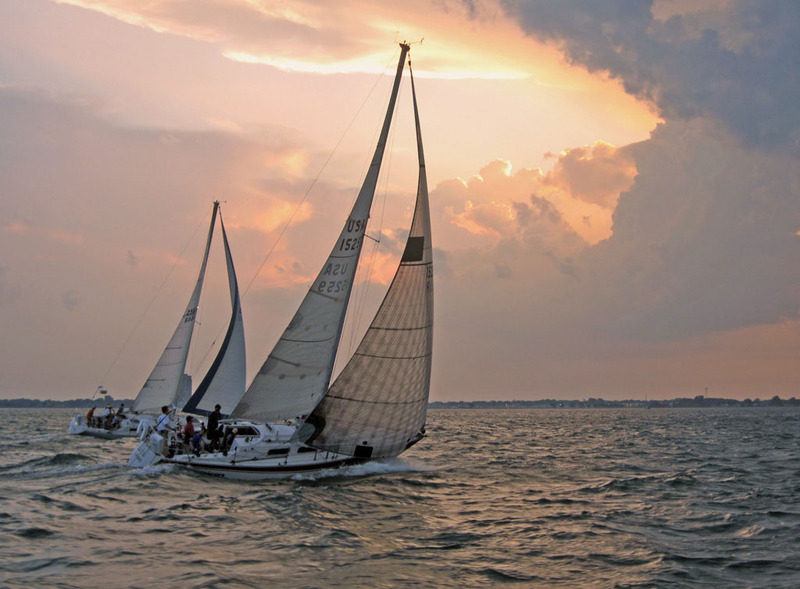 I also crew on sail boat races on a friends boat, that can get quite harry and I have yet to bring the Pentax for fear of damage. Then there are the boxes of negatives and prints in the basement with 45 years of images I need to scan. Gardening yes, also a hobby of mine, but not in November in Western New York. As for Prison Ministry I think it's a calling from our Lord and Savior Jesus Christ. "Well done, good and faithful servant!" First of all I converted all of my old cassette tapes and LP records to MP3 in the 2006 - 2009 time frame. Second I'd like to say I have other hobbies but all of my hobbies revolve around photography..... I guess I'm not normal since I am a one hobby kind of guy.